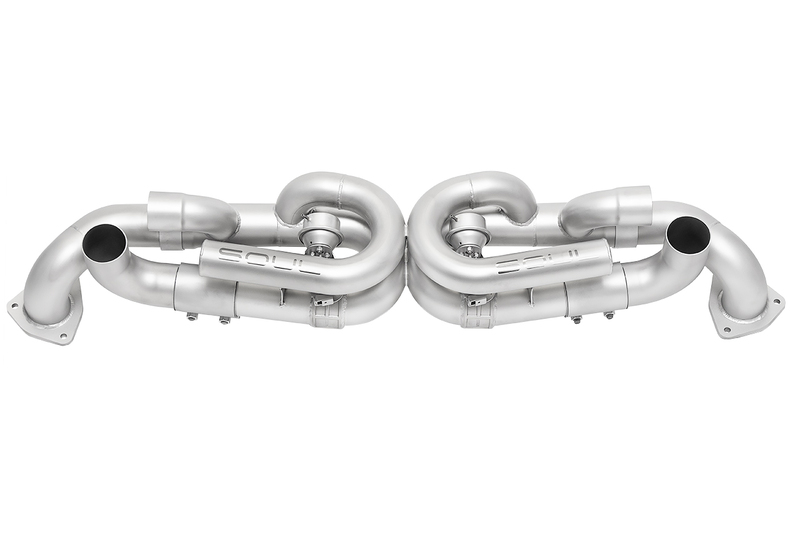 Our 991.1 Carrera Valved Performance Exhaust System has been designed with the professional enthusiast in mind. 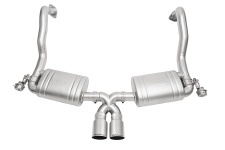 With valves open exhaust gases are free to exit through a completely unrestricted path out the tips offering a flat six symphony with a tone that will raise the hairs on the back of your neck! On your way to pick up a client or heading out to dinner with someone special? 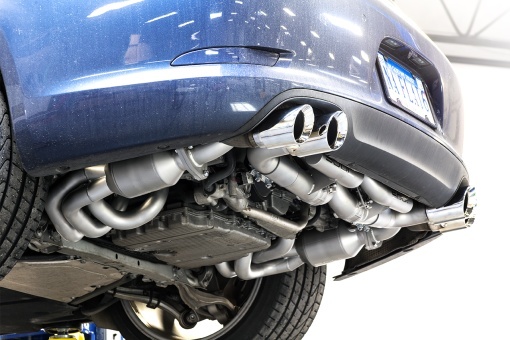 Keep the valves in closed position and enjoy a refined low key tone as the factory side mufflers do their job quite well. 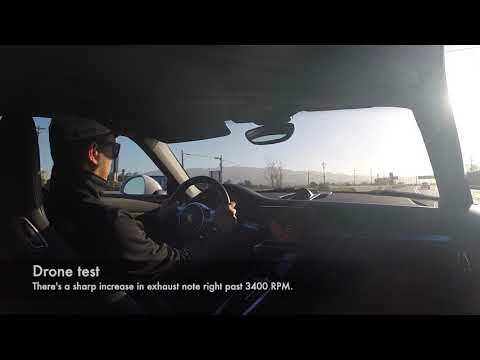 If you’re worried about drone on your PDK equipped car, this system will not leave you disappointed. 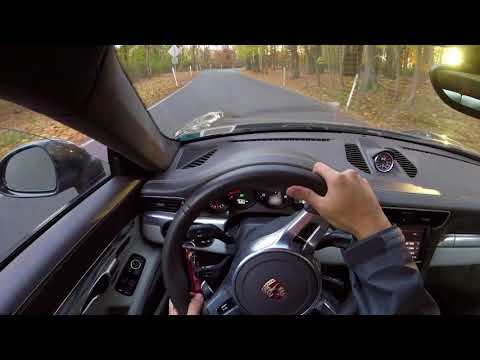 Many owners are underwhelmed with their 991.1 Carrera’s sport exhaust sound and performance – it’s just not enough. We’ve set out to create an exhaust with a true Jekyll and Hyde personality that matches perfectly with the persona of the Carrera – a wolf in sheep’s clothing. Our first priority was to design the system so that with valves open, exhaust gases would have a straight flow path. 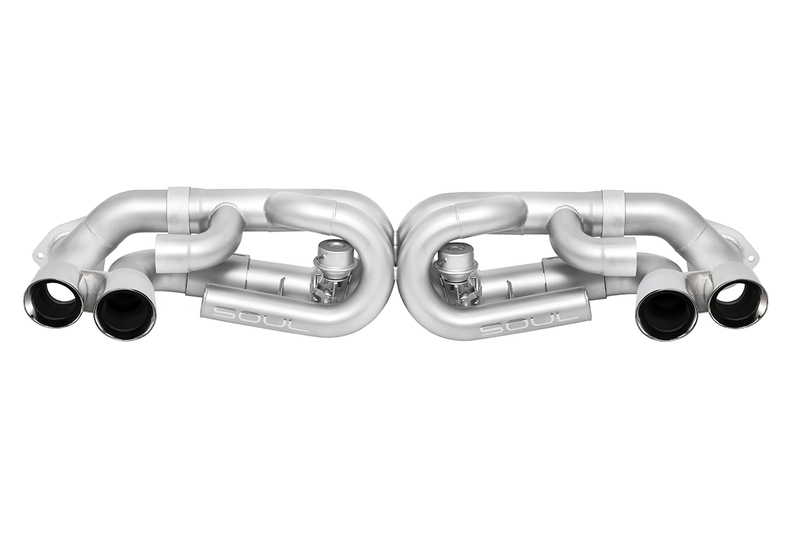 By using a larger tubing diameter, smooth radius bends and proper X-pipe crossover flow characteristics (improving exhaust scavaging effects, leading to increased volumetric efficiency), our system improves throttle response and performance drastically over the restrictive factory sport exhaust. 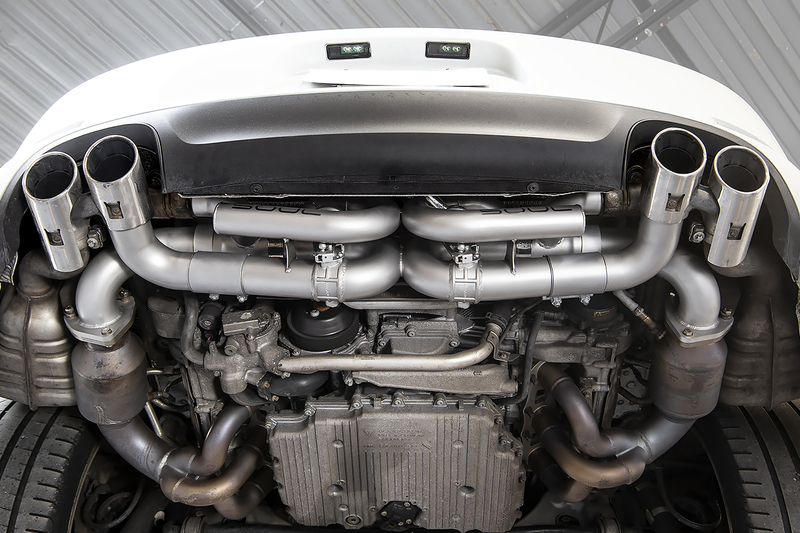 DEVELOPMENT AND TESTING: Our aim was to refine the level of daily driving comfort without sacrificing the race inspired tone and straight-through exhaust design. 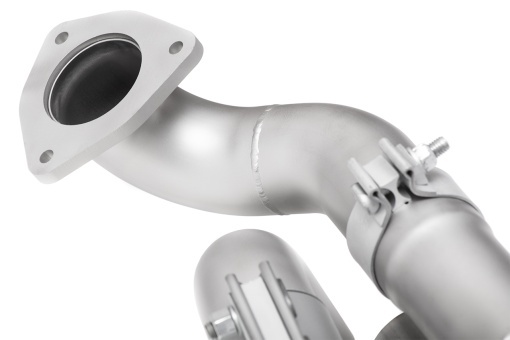 A larger resonator would not yield the results we are looking for while requiring some revisions for clearances – this could compromise the high flow design principles of our exhaust. 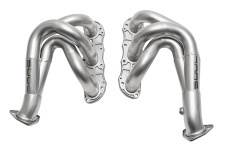 Adding higher flowing aftermarket headers – like our Long Tube Street Headers – to an aggressive rear system without proper sound attenuating features could result in a overly loud, possibly unpleasant driving experience. 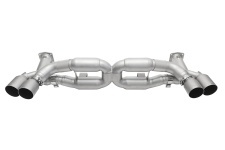 Nearly 40% of our customers paired their rear exhaust with upgraded headers making it imperative that we consider such a configuration and engineer the exhaust appropriately. 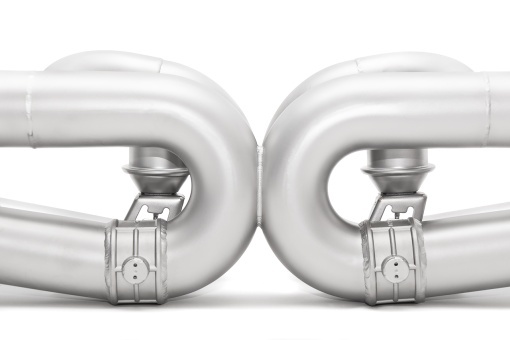 Helmholtz resonators (also known as anti-drone tubes) are an effective way to reduce undesirable frequencies when engineered and utilized correctly. The 991.1 Carrera has an inherent 3,000-3,500 RPM range where drone can present itself when you add higher flowing exhaust components. 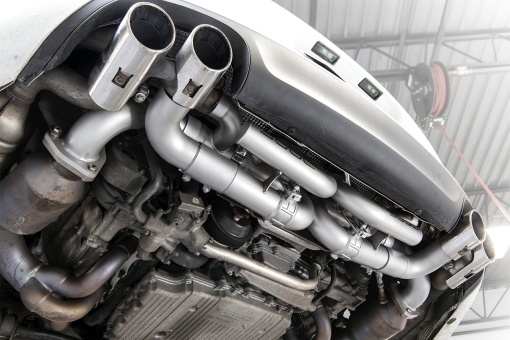 Our goal was to filter out the undesirable frequencies in that range while smoothing the valves closed to open transition on factory PSE equipped cars. 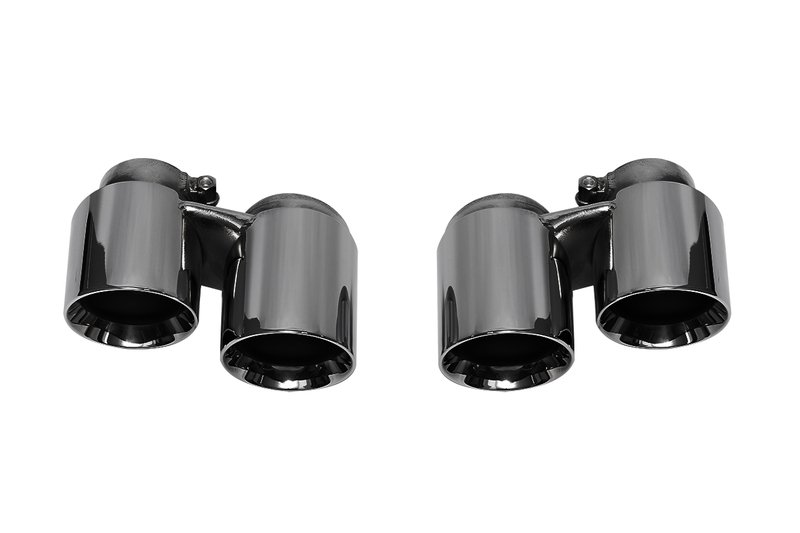 Our final design has proved to offer the very best results on this application and achieved our high standards for sound quality and drivability. The math can be done to create the Helmholtz resonators – but how you incorporate them into your design makes a big difference. SOUND: The sound is aggressive – a primary benefit of our system is that with valves open there is straight, unrestricted path from the 2.5″ piping to the tips – but we’ve effectively massaged extra refinement into the system to match the premium experience that embodies all things Porsche. 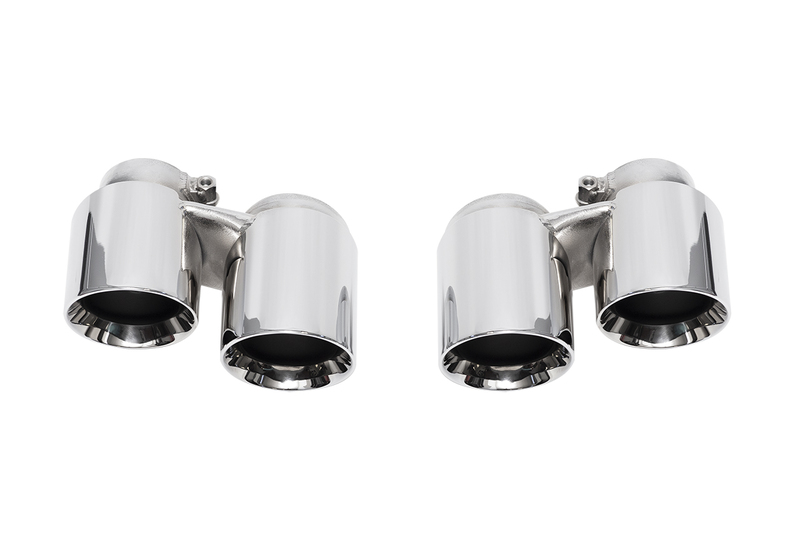 With valves both open and closed the X-pipe helps smooth the sound even further. All in all, we’re very happy with the results and we’re sure you will be too! With valves open, the free flowing nature of the system allows for a Cup car inspired sound – greater volume with a greater amount of crackles and burbles on deceleration. This system is for those who want added aggression at the press of a button. With valves closed the tone is very reasonable and refined, drone is kept to a minimum while still allowing for the flat six sound to be heard. 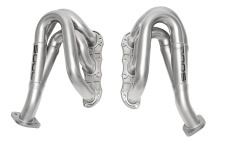 CONSTRUCTION: Each exhaust is built in house out of mandrel bent, thick wall .065″” T304L stainless steel, then rigorously quality checked. Back purged TIG welding ensures proper weld penetration and longevity. 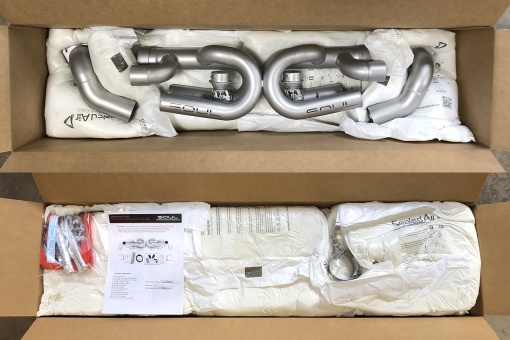 BOLT ON AND GO: Each exhaust is tested in a fixture to ensure perfect fitment and then foam packed to arrive in perfect condition. Thorough installation instructions are included in the box for a straightforward install that can be performed by most DIY enthusiasts. New high grade hardware is included. This system works seamlessly with the factory PSE controls but can also be used on non PSE equipped S / GTS cars by installing a SOUL valve controller kit. 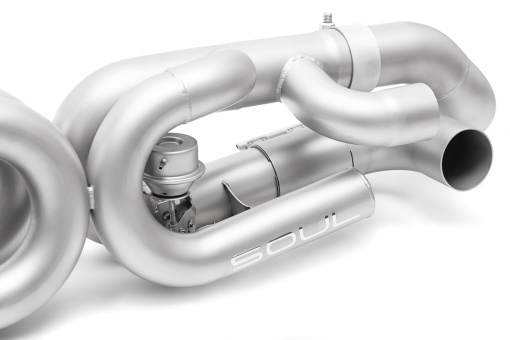 LIFETIME WARRANTY: Enjoy your SOUL exhaust components with confidence on both the street and track as they are covered by our Lifetime Warranty! Our team will quickly work with you to resolve any issues or answer any questions that you may have. NOTE: Installation of the valve controller on non-PSE models is more difficult than on PSE equipped vehicles due to wiring (power source must be located and tapped) and vacuum lines needing to be installed. 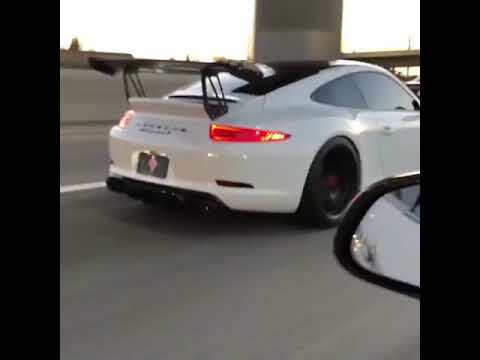 Rear bumper must be removed. We highly recommend professional installation, for recommendation of your nearest SOUL installer please contact us. The sound is exactly what I was looking for. 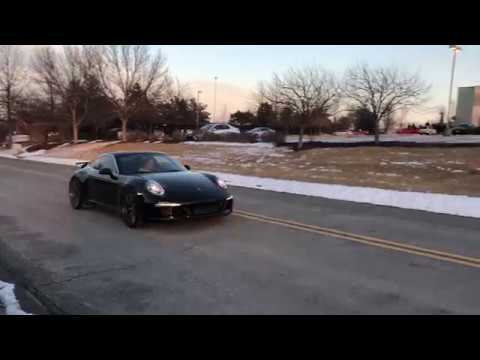 Much more aggressive over factory PSE exhaust. Quiet with valved closed while cruising. No droning whatsoever when cruising below 3400 RPM with valve closed. High quality craftsmanship and perfect fitment. Did I mention the sound is amazing?